Happy February from The Paper Doll Club. 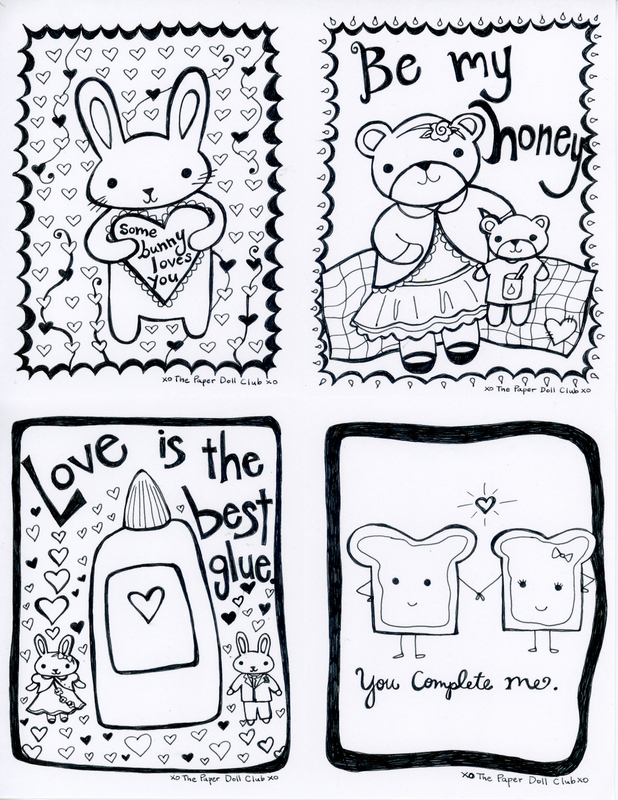 This week, we made Valentines! Print them out on some card stock, color them, write your to and from on the back, and pass them out or drop them in the mail for Valentine’s Day. I loved making these. My favorite is the peanut butter and jelly sandwich. Rosie made a glorious Queen of Hearts paper doll in honor of the holiday, and Paloma made an adorable little girl named Harty, who has a doll named Lil. 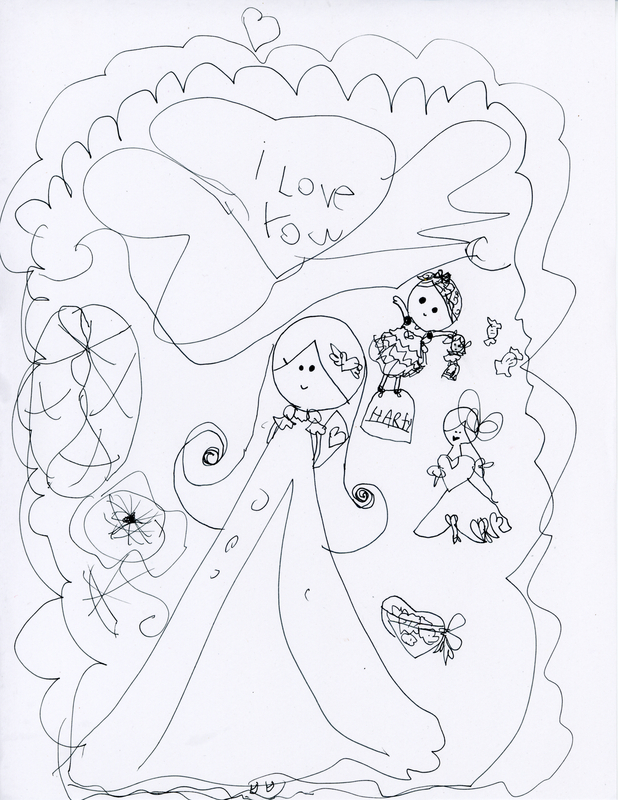 Very sweet drawings from the girls this week. We hope you have fun and spread some love and friendship this week. 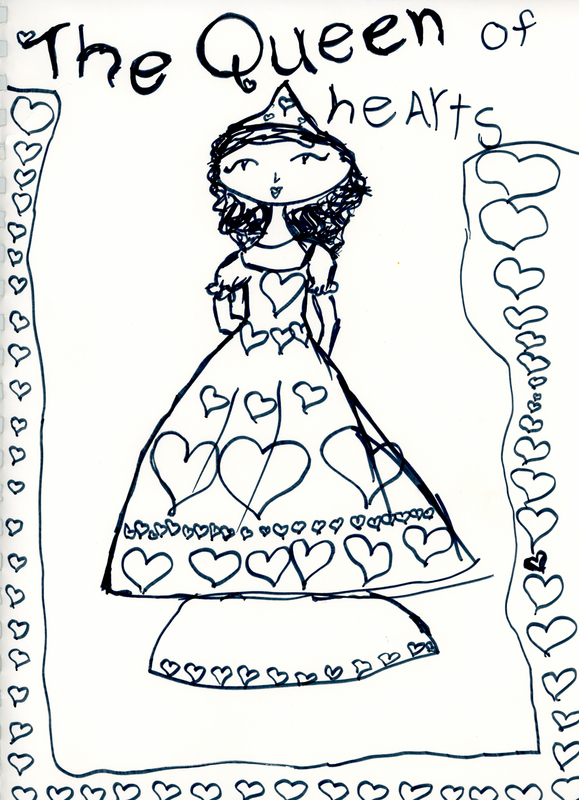 Harty and the Valentine Girls by Paloma, age 6.